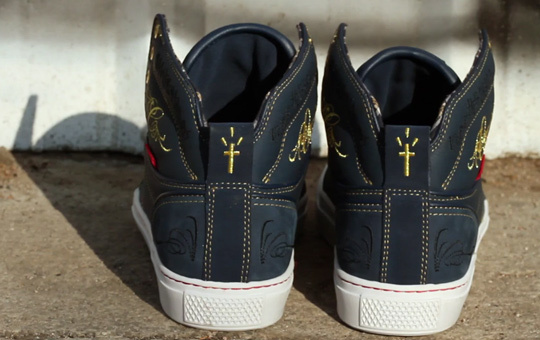 Legendary Los Angeles artist Mister Cartoon adds his signature fineline touch to the Vans OTW Collection this fall, producing a special edition version of the Vans Alomar. 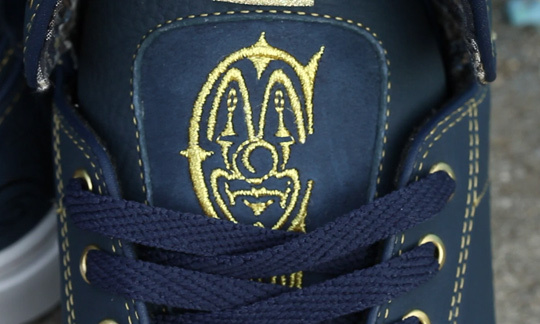 This lifestyle offering utilizes a navy leather upper, with Mister Cartoon's custom designs embroidered on several prominent points on the shoe. The collaborative effort also features a tartan lining and a custom footbed. 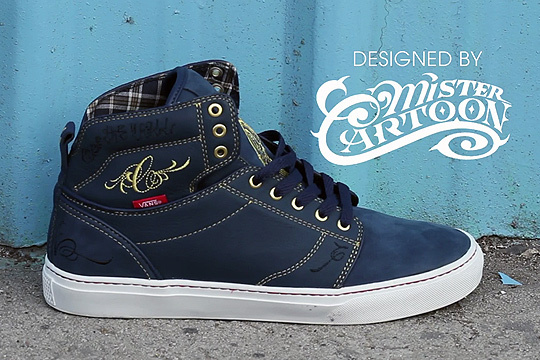 The Mister Cartoon x Vans OTW Alomar is available soon at select OTW accounts, including Kicks/HI, Blends, and DQM.